World War II began on 1st September 1939 — Guy Maunsell’s 55th birthday — and it consumed British energies and resources for the next six years. It was in this crucial period that Maunsell worked on the iconic Army and Navy sea forts by which the public continues to remember him, known collectively as the Maunsell Forts. He was at his most successful and prolific. By contrast, wartime conditions also meant that he spent more time in his large vegetable garden and managing his land. Maunsell, his wife Geraldine and their two daughters would later move to Jersey Farm near Hildenborough in Kent, where they kept dairy cows. Maunsell’s elder daughter Maureen remembered that he "lived for his work" during the war and recalls his efforts during those years and the impact commuting from Kent to London every day had on him and the family. He "was so vague and absorbed that discomfort did not really bother him. He could always go to sleep on a train or a plane, but unfortunately quite often failed to wake up in time". When he woke up at the wrong station either Geraldine would have to collect him by car — not easy when petrol was scarce — or he would have to wait for a train back to where he had left his bicycle. Maunsell was adept at devising schemes that were straightforward to build, practical, functional and cost effective — all extremely important when skilled labour and construction materials were in such short supply. During the war, ideas flowed from him, though many were destined never to materialize. An example is his sea-submersible observation post and emergency airfield idea of 1939, to be constructed using precast concrete sleepers. He said of it that "speed of construction, ease of transport and centralisation of manufacture are the fundamental factors" — a comment applicable to most of his war work. Probably his greatest contribution to the war effort was the Maunsell Forts. His idea for a defensive fort that rested on the sea bed but projected above the waves can be traced back to a paper called Marine Fort No 3 that Maunsell sent to the Admiralty in May 1940, in which he describes a structure that could be built in about two months. By October that year, Britain had suffered at Dunkirk and was in the grip of the German Blitz on major cities. Commander E.C. Shankland, Port of London Harbour Master, was worried about the number of shipping losses in the Thames Estuary, particularly those from magnetic mines. He asked Maunsell's advice on a series of forts to protect and defend the area. Maunsell's answer was A Proposal to Establish Martello Towers For The Defence Of The Thames Estuary. Martello Towers had been built as coastal fortifications in Britain and around the British Empire during the Napoleonic Wars (early 19th century onwards). At a meeting at the Admiralty shortly afterwards, where Maunsell met Captain John Hughes-Hallett (1901-72, later Vice Admiral), he was asked to design four twin tower Navy forts for the Estuary. His designs were completed in November 1940. They met with conflicting responses from the Admiralty. Maunsell was asked to a number of meetings, after which he waited for weeks to be told by the Director of Naval Construction on 20th January 1941 that the forts would be unstable and might capsize before being sunk into position. Eventually Maunsell managed to network successfully with the Controller of the Navy, Vice Admiral Bruce Fraser (1888-1981), who asked him to start construction immediately. Maunsell and Sir Alexander Gibb & Partners were joint engineers for the forts, which were built at Red Lion Wharf on the lower reaches of the Thames at Gravesend in Kent from June 1941. Each reinforced concrete and steel fort was a submerged pontoon barge supporting two giant cylindrical towers topped by a gun platform spanning between them. 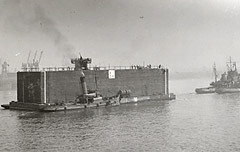 The first fort (Roughs Tower) was towed into position and grounded on 11th February 1942, with all its personnel aboard. The naval officer overseeing the operation caused the base to be flooded from one side only and the fort tilted at 35 degrees before settling level on the sea bed. John Albert Posford (1914-96), resident engineer at Red Lion Wharf, captured the event on film. This prompted the Admiralty to pass responsibility for positioning the other three forts (Sunk Head Tower, Tongue Sands and Knock John) to Posford, which he completed without problems by 1st August 1942. Posford had worked as an assistant to Sir Alexander Gibb for three years, during his time as a student. On graduation in 1936 he had been offered a permanent position. Aware that Maunsell had fired a man working on the forts and a vacancy had arisen, Gibb sent Posford to London to work for Maunsell, warning him that Maunsell was not an easy man to work with and did not suffer fools gladly. Fortunately the 30 year age gap didn't stop the two men working well together. The Navy Forts fulfilled their purpose in reporting air raids, providing anti-aircraft fire and deterring mine laying. They led to further contracts for building Army forts in the Mersey and Thames Estuaries. Maunsell and Gibb again were appointed jointly. The Army forts were intended to defend vital seaways from enemy aircraft, intercepting them before they reached the docks and industrial heartlands of London and Liverpool. Because the perceived threat was so high, a new modular design that could be built and placed more quickly was chosen. It was also more suitable for resting on the soft estuarine sands. Each fort comprised seven towers linked by walkways, set out in a tried-and-tested defensive formation that connected six of them to a central control tower. Each had four reinforced concrete legs founded on a self-burying grid, topped by a steel accommodation pod with guns and searchlights on its roof. Three army forts (21 towers) were built at Bromborough Dock on the Wirral peninsula from October 1941 onwards, and were deployed in the Mersey Estuary between 7th October 1942 and 25th July 1943. They never saw enemy action. Another three forts were constructed at Red Lion Wharf for the Thames Estuary, similar to those used in the Mersey although the water here was shallower. Work began in September 1942. The original plan for 49 towers was amended to 21. Each tower was placed by two tugs, and the bridging walkways were floated out and hoisted into position afterwards. The three Thames forts (The Nore Fort, Red Sands and Shivering Sands) were installed during 1943, between 20th May and the early hours of 14th December. While Maunsell was working on the design of the navy sea forts in 1940, he was concurrently developing the ideas that would lead to the famous Mulberry Harbours (1943-44) being constructed and deployed to assist the Normandy landings in 1944. Forming an artificial harbour for wartime use was not a new proposition. In July 1917 Winston Churchill (1874-1965), then Minister of Munitions in World War I, had written to Prime Minister David Lloyd George (1863-1945) that "a number of flat-bottomed barges or caissons, made not of steel but of concrete” could be towed into place and sunk, so that "a torpedo- and weather-proof harbour, like an atoll, would be created in the open sea". That early suggestion never came to fruition but now that Britain was at war again, Lieutenant Colonel Wilson in the War Office thought it could work and asked Maunsell for his advice in December 1940. Maunsell produced a sketch entitled Emergency Port Works and wrote to the War Office that "structures similar to some which the writer has designed for the Admiralty ... might be built and afterwards used to form berths for ships supplying troops landing or operating upon enemy territory". The proposals were shelved. In 1941 Welsh engineer Hugh Iorys Hughes (1902-77) had a similar idea but neither was this taken further. It was naval Chief of Staff, now Commodore, Hughes-Hallett whose influence led to the idea being taken seriously, and it was investigated by a committee formed in September 1943 — onto which Maunsell was not invited, though his engineering contemporary Oscar Faber (1886-1956) did attend. Many prominent engineers of the day, military and civil, worked on the final design and testing of the individual structures that made up the two Mulberry Harbours for Vierville sur Mer (later known as Omaha Beach) and Arromanches in France. They operated in conditions of absolute secrecy, often not knowing who else was involved or what they were doing. Belatedly, Maunsell received credit for his idea — one of the plaques on the Mulberry B monument to the British Royal Engineers at Arromanches, which was inaugurated on 6th June 2000, bears the inscription, "Original Floating Harbour Concept Mr Guy A. Maunsell". Another of Maunsell’s ideas, one almost as successful as his sea forts, stemmed from a conversation between Posford and Admiral Sir John Cronyn (Jack) Tovey (1885-1971) in June 1943. Tovey was lamenting the lack of dock and slipway facilities for repairing landing craft damaged in training exercises, with steel too scarce for building floating dry docks. Posford knew Maunsell had proposed reinforced concrete dry docks to the Admiralty in April that year, and reported the conversation to Maunsell, who promptly revised and resubmitted his designs. At the subsequent Whitehall meeting, he was told that — as with the Navy forts — the docks would be unstable and prone to capsizing. Losing his patience, already worn fairly thin, he snapped "Gentlemen, as you know, I live on a dairy farm at Hildenborough in Kent. When I leave the office, I go home and the first thing I do is to go into the field where my cows are and discuss my day with them. I must say, I get more bloody sense from them than I ever get from talking to you!" An irate Maunsell later contacted Tovey, who overruled the Admiralty's decision. Construction of three 406 tonne reinforced concrete floating dry docks with integral crew accommodation began at the well-used Red Lion Wharf in August 1943, and the first was completed in three months. Only the dock bottom and its decks were cast in situ, the rest was prefabricated, which speeded building and enabled the other two to be completed in a further two months. The cost was comparable with steel docks, though the materials were more readily available. Posford supervised trials of the first floating dock at Tilbury in November 1943. Multiple orders from the Admiralty followed, for docks of varying lifting capacity. The largest was 813 tonnes and could accommodate keeled vessels, and the smallest 254 tonnes. Docks were built also at Bromborough, at the same yard as the Mersey Army forts. Two yards were built in India and one in Australia to manufacture Maunsell's floating dry docks, but plans for more were halted when the war ended. The docks themselves were used worldwide and a few remain in use. They we so effective that the US Navy used Maunsell's design for all their floating dry docks. As the contract for the army forts was coming to an end in 1943, Prime Minister Winston Churchill asked Maunsell for his thoughts on a submersible reinforced concrete and steel gun tower, also for possible use during the Normandy landings. Maunsell designed a vessel that could move under its own power and submerge close to a coastline, with just the guns above the water. Its catamaran hull supported a pillbox with two 150mm howitzers. Only one vessel was built, partly at Surrey Commercial Dock and completed at Red Lion Wharf in November 1943, with trials off Gravesend the same month. Named the Landing Craft Gun (Tower) by the Admiralty, it was sold after the war and used in Hong Kong Harbour as a recovery vessel. Posford’s continuing efforts were rewarded by a partnership on 6th April 1944, when Maunsell created G.A. Maunsell & Partner and gave Posford a one-third share of the firm. The contrast between Maunsell's domestic and professional life during this period could not have been more dramatic and perhaps fitting in terms of the little we know about his character. His outbursts at official meetings indicate he had a history of being rather prickly and of clashing with authority, which rendered him an outsider in engineering circles. Maunsell believed in the practical application of new ideas, especially in the face of opposition, and this approach and determination saw him through to the end of his career. 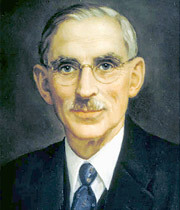 He also enjoyed contacting the authorities once his ideas were vindicated, and after the war wrote to the Institution of Civil Engineers, "... my special methods for constructing Sea Forts and Floating Docks were bitterly opposed by certain established groups of Government engineers and naval architects. My ideas were nevertheless adopted and proved completely successful". The war in Europe ended on 8th May 1945 but it was thought that war would continue in the Far East for much longer. So the Admiralty ordered two reinforced concrete 'Accommodation Arcs', similar in design to the floating dry docks, but intended as floating barracks capable of accommodating 600 men. Maunsell and Gibb were joint consultants and construction was due to be completed in Northern Ireland by the middle of January 1946. The project was abandoned when the Japanese surrendered. World War II was over on 2nd September 1945. 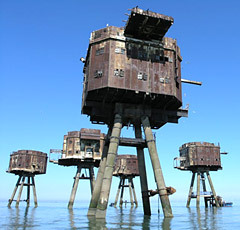 As war gave way to peace, the fortunes of Maunsell's sea forts fluctuated. Those in the Mersey Estuary were not intended to last for more than two years and by 1946 their condition was so bad, that they could no longer be manned and they were later demolished to prevent the obstruction of shipping lanes. The forts in the Thames Estuary fared a little better and some were home to pirate radio stations until 1967. Of the Navy forts, which were all decommissioned between 1945 and 1958, only Knock John and Roughs Tower remain whole. The crew was rescued from Tongue Sands when it was damaged by gales in December 1947, and it collapsed into the sea in February 1996. The Royal Engineers blew up Sunk Head in August 1967, amid rumours of smuggling. 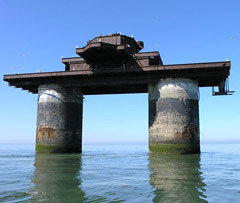 Roughs Tower is the only fort in international waters and has been occupied by the Bates family from Southend since 24th December 1966, who renamed it Sealand. Two of the three Army forts remain in the Thames. They were decommissioned from 1945 to 1956, and Fort Nore was demolished 1959-60. A ship knocked one of the towers of Shivering Sands down in 1963. Red Sands, the only still-complete Army fort, has been in the care of Project Redsand since 2003 and there are plans to restore it fully and install a museum. Knock John Navy Fort in the Thames Estuary, as it is today. It was sunk into place in August 1942 and with its three companion forts saw service reporting air raids, providing anti-aircraft fire and deterring mine laying. Red Sands Army Fort, also in the Thames Estuary. Originally, the various pods were connect by walkways to the central command tower. A flat-bottomed concrete Mulberry Harbour caisson under tow during World War II. The caissons formed part of the two huge floating harbours used for the Normandy Landings.